Three Merians is an attorney-at-law and has been a member of the Georgia State Bar since 2006. Her legal career has focused on entertainment and corporate law, specializing in employment issues, workers’ compensation, intellectual property, and commercial agreements. After spending several years touring with national and international acts, Three went to Brooklyn Law School to become an artist advocate. When she passed the bar, Three moved to Atlanta, GA to hone her skills in artist management and advocacy. Three practiced entertainment law in Atlanta for several years before accepting the role of General Counsel at an Atlanta-based dining, catering and event design services company. Three took this opportunity to learn at the right hand of some true business pioneers, and her business knowledge and acumen grew exponentially. In this capacity, Three reviewed and drafted legal agreements, she supervised workers’ compensation claims including all filings, mediations and settlements, she managed human resource (HR) and employment law issues company-wide including unemployment compensation benefits, Equal Employment Opportunity Commission (EEOC) charges, Occupational Safety and Health Administration (OSHA) audits, and union negotiations (pursuant to the National Labor Relations Act (NLRA)). Three was responsible for resolution of all employee, client, and vendor disputes through discovery, negotiation, mediation, and court filings. 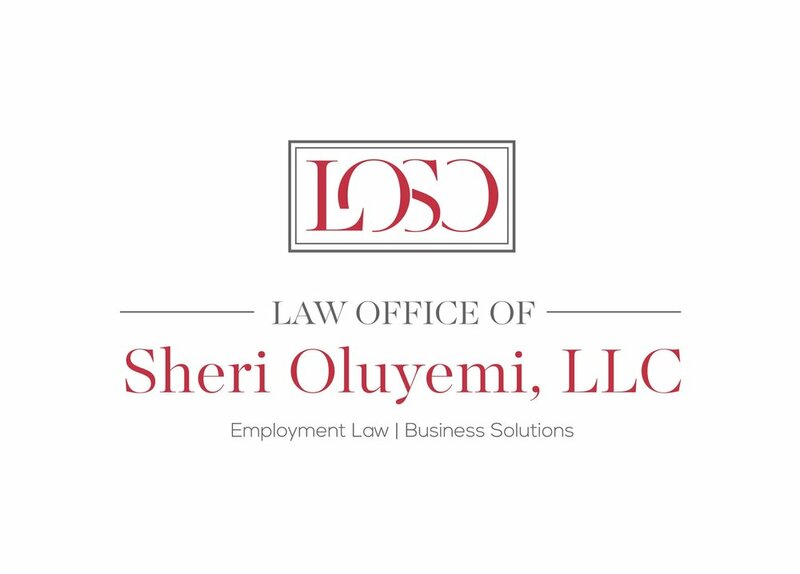 Most recently, Three joined the Law Office of Sheri Oluyemi as Of Counsel, bringing her passion for advocacy and experience in business to this dynamic employment law practice. Growing up in Woodstock, New York, Three cultivated a passion for free expression, the arts, and civil equality. Inspired by Amnesty International's Conspiracy of Hope tour, Three found the powerful connection between music and political protest and dedicated herself to supporting artists whose music contained a social message. Throughout high school and college, Three managed bands, rehearsal spaces, recording studios, became a recording engineer, and booked tours for progressive and underground artists. Three holds a Bachelor of Arts degree in Psychology with Minors in Women's Studies and Political Science from Warren Wilson College, and a Juris Doctor Degree from Brooklyn Law School. In addition, Three is a certified Hatha Yoga and meditation teacher, and completed the Health and Wellness Coaching Program at the Institute for Integrative Nutrition. Three has served as a member of the Planned Parenthood Young Professionals Southeast Council and the Warren Wilson College Alumni Board since 2015.